“In a world of mythical lands, players fight to conquer an ancient paradise and settle an empire of their own design to perpetuate their dominion. 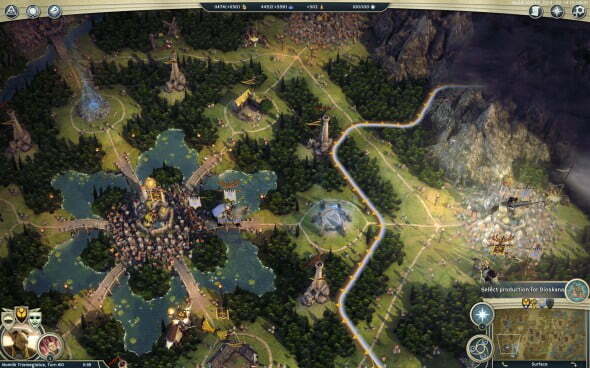 ” Read our review of Age of Wonders III to see if it was worth the wait. You might have caught a little peek at my preview of Age of Wonders III, which is out at the end of this month. This is the latest installment to the Age of Wonders series, the long-awaited follow-up to Shadow Magic and Age of Wonders II has been a mere decade in the making. In a world of mythical lands, players fight to conquer an ancient paradise and settle an empire of their own design to perpetuate their dominion. This high-fantasy realm is vast, offering over 50 locations and a diverse blend of allies and enemies to befriend and besiege. 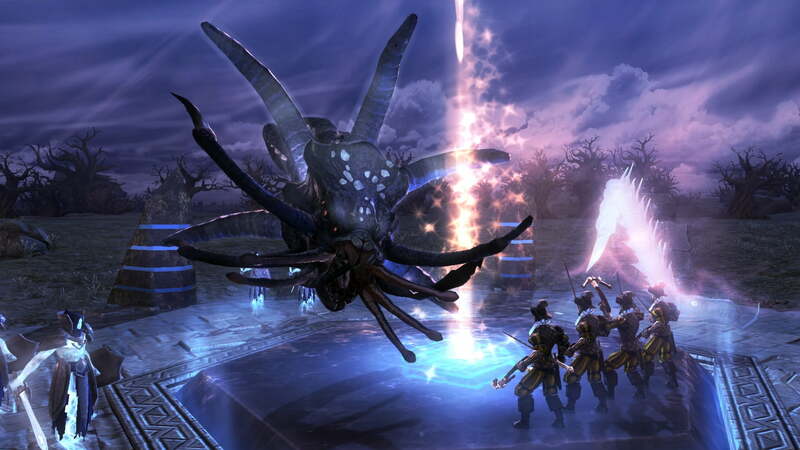 In Age of Wonders III, players can choose to play the single player campaign mode, multiplayer online, or choose one of the games’ randomly generated maps (a new feature that fans of the series will be elated to see). Unfortunately, AOW2 diehards who used the multiplayer play-by-email function may be dismayed to learn that Triumph hasn’t adapted anything like this at launch, but from the forums, it looks as if it’s an option that could be included in a patch in the future. But since I didn’t even know there was such a thing until I read about it, I myself was unmoved. The world map is as vast as it is diverse, and a well-imagined landscape to explore. This is a savvy, progressive take on a franchise that has garnered a wide following and is looking to satisfy loyal players as well as attract a new generation of fans. And I have to admit, after about two weeks of gameplay, this turn-based RPG may just have won me over into the realm of RPG’s. Maybe. Choosing a leader before each game (which can be in campaign mode, multi-player or randomly generated map) determines the race of your armies, as well as what types of technology or magic players had access to at the get. Despite the class of your campaign leader, you will recruit heroes throughout the game, and equip them with weapons of your design and send them to aid you in your conquests. Your character must research skills unique to his or her class to help develop your arsenal and troops, and alliances with other races proves invaluable to winning your campaign. You recruit and ally with so many warriors, however, that it’s only a matter of time before you get access to the best that any class has to offer (magic and melee both). Tool tips in the world map and over bases help players make well-informed strategic decisions. 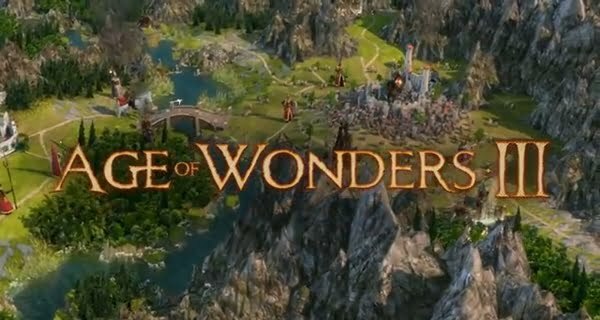 In Age of Wonders III, your chief concerns are centered around exploration, resource management, developing infrastructure and building a militia, and conquest of occupied land (a lot like Civilization). 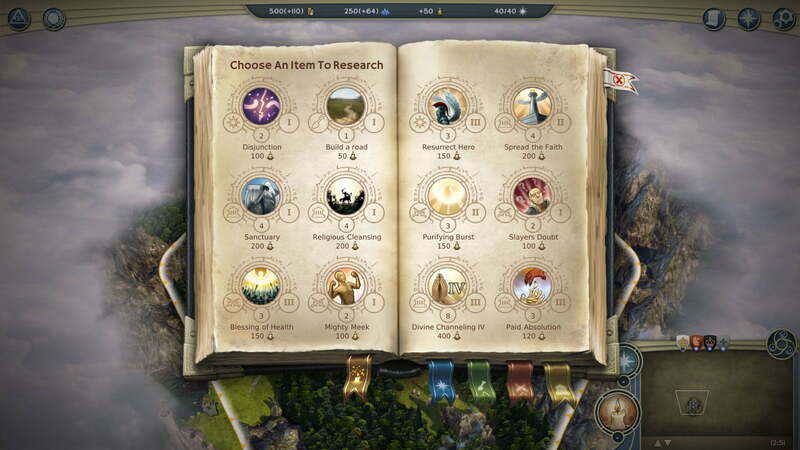 The resources consist of gold, mana and casting points, knowledge and production, with the last two affecting research rate and building rates respectively. You build up your city, recruit armies of varying races and classes—and, hopefully, provide these with upkeep to fortify your acquisitions—and put these against rivaling armies in tactical combat. Dude. There’s giant penguins. How many more reasons does a person NEED to want to play? It’s like Happy Feet meets Lord of the Rings…without dancing and with considerably fewer penguins. And they’re DIRE penguins, which is about 40% more adorable and 120% more evil than real-life penguins. Empires begin as an encampment in a new area of the map and are built upon by unlocking challenges, acquiring units and assigning explorations to these units. Resources aren’t created, they are rather discovered and harvested—the map exists to be explored and developed, and making use of the elements that you discover is essential to winning your overall campaign. Lands won from neutral or enemy forces are exploited and cities are developed, and you divide your gameplay between battling enemies, maintaining the infrastructure to contain and sustain your troops, and—kind of fun—negotiating treaties with enemies or allies. You can pay other characters, for example, to pass safely, or to form some sort of alliance. 3D combat takes place on a more intimate map than the world map, each camp facing off against a battalion of appropriate numbered adversaries (units consisted of a team of archers or soldiers, not just individuals as in previous AOW games). The game kindly indicates to you whether or not engaging in battle is wise or you are likely to win, and if you aren’t in the mood to let battles autoplay, you can attack the enemy turn by turn. 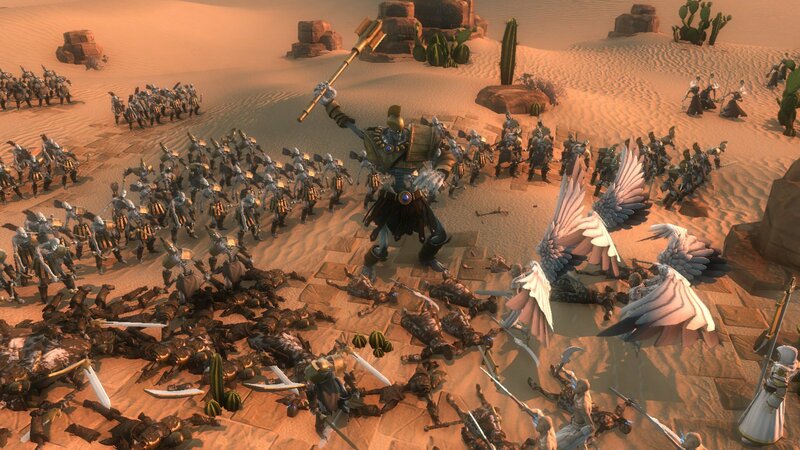 Units consist of a hero and groupings of archers, soldiers or sorcerers, each unit getting a turn to attack once before the enemy retaliates. Hexes are traversed across battle map grids, some hexes providing cover to stunt attacks or lessen the effects of an enemy attack during their turn (like a bunch of boulders to take cover behind, for example, or a stand of trees). Units have a limited number of movement points, and these are restored at the beginning of each new turn. Hints are displayed prior to making any move by hovering over the hex, offering strategic insight as to the effectiveness of a move. Something that I noticed later rather than sooner was that heroes all seem to divvy up a common pool of manna. So if I were to, say, recklessly blast a formidable foe with spells in one battle, my next leader would have less to draw from during his campaign. Lame. Heightened the strategic ante, though, so I tip my hat to developers for this. Spellbook in Age of Wonders III. I thought that AOW3 was a beautifully imagined game that depicted this mythical land with vibrancy and great detail. I’ve been playing a volley of “next-gen” console games off and on for the past two weeks, and for the most part, Age of Wonders represents itself extremely well: images are sharp, crisp and tight. Compared to its predecessors (AOW2 and Shadow Magic, consecutive precursors), this game is diverse with an imaginative and seemingly limitless barrage of high fantasy elements and environments that have been crafted with vivid detail. One area where this PC platform game really drew me in, speaking of graphics, is the wide variety of creatures to recruit. Not just orcs, goblins, elves and humans; oh, no. As with previous installments, you can recruit and utilize a range of mythical mounts and battle companions. The possibilities really seemed endless, though: giant turkey-bird creatures, dragons and unicorns, eagles of great enormity, dinosaur looking critters, arachnoids—I haven’t played from stern to bow just yet, but I have a feeling I have only just scratched the surface of AOW’s magical inhabitants. Face off against fearsome creatures and acquire land in an effort to expand your empire. I always pay close attention to soundtracks and sound effects; every detail in Age of Wonders III was well developed, from nature sounds (such as the not-at-all-campy birdsong, or rushing water) interwoven with complex and engaging background music. 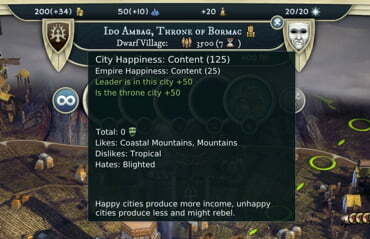 Age of Wonders III seems to be pretty top-notch. There is no shortage of entertainment if you like tactical, strategy based RPG’s. The maps are complex and engaging, and even though RPG’s aren’t exactly my bag of chips, I know that there are those that will gorge themselves on Age of Wonders’ intricately woven campaigns. Whether you’re a theocrati looking to wage a holy war on the heathen foes, a warlord taking this misty, uncharted paradise for your people by force, or a sorcerer creating a militia of magically formidable allies, this game offers an incredibly in-depth, customizable and addictive experience for fans old and new alike. I think this game is overrated in many reviews. Not worth a 7, more a 5.